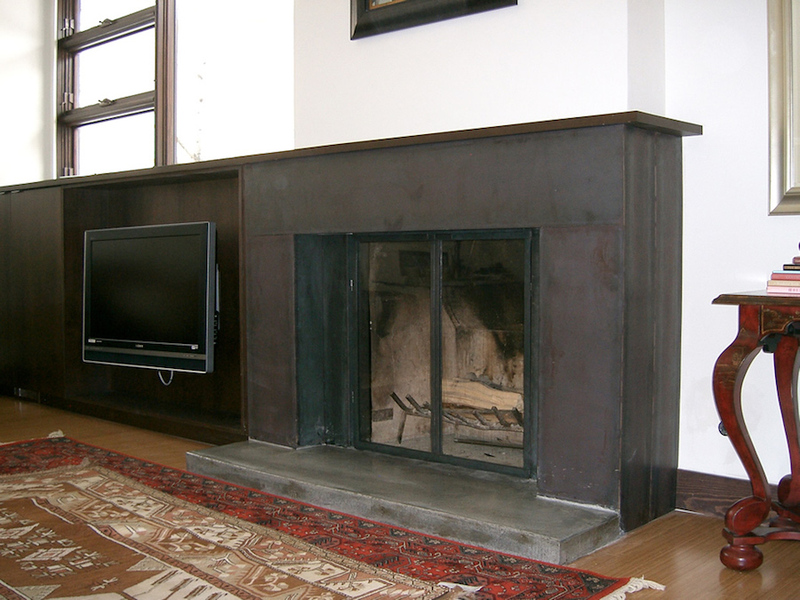 Goals and Vision: A deceptively simple appearing surround that complimented the room and allowed an existing firebox appear larger and meet fire code. To also present a pleasing look of just the right mass for the area. 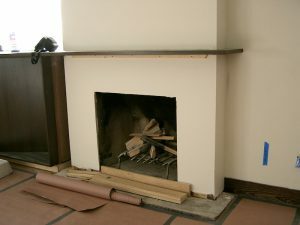 Specific challenges: The existing hearth had to remain and a thin wood mantle could not be overpowered. The glass doors had hidden pulls at the top and no handles in a nod to two very inquisitive young male occupants of the home at the time. Before image of the firebox as it was intended to end up. Tile was going to be added before we ere asked to see what we could come up with to really finish it off.